This amazing tennis ball pickup features a unique heavy duty gauged steel frame with a reinforced welded construction that maximizes its durability and efficiency! Due to its diamond clad weather resistant gold powder coating and the protective wear feet, you can rest assured that your premium tennis court accessory is going to get the job done! 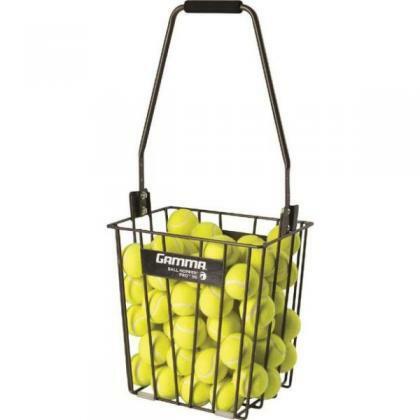 Its safe and secure hinged lid prevents ball spilling and its convenient handles and floating wire design, make it extremely easy to pick up and flip for seamless tennis ball feeding. Don't forget to stock up on pressureless Gamma Balls.